Vast improvement in ride quality & damping performance! 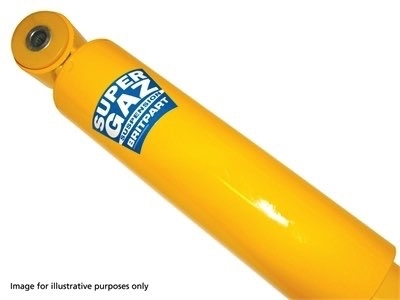 Britpart Super Gaz Shock Absorbers offer a 35mm bore tube filled with Fuchs shock -absorber fluid, using the best seal available, single piece eye rings, polyurethane bush mounts and a very durable powder coated finish. These offer a vast improvement in ride quality and damping performance. They are ideal for use with either of the Britpart Yellow Spring range or Standard Land Rover Springs.